Maybe it's just the fact that they don't look anything like the Disney-printed polyester versions you carried throughout grade school, but something about a leather backpack just feels luxurious. 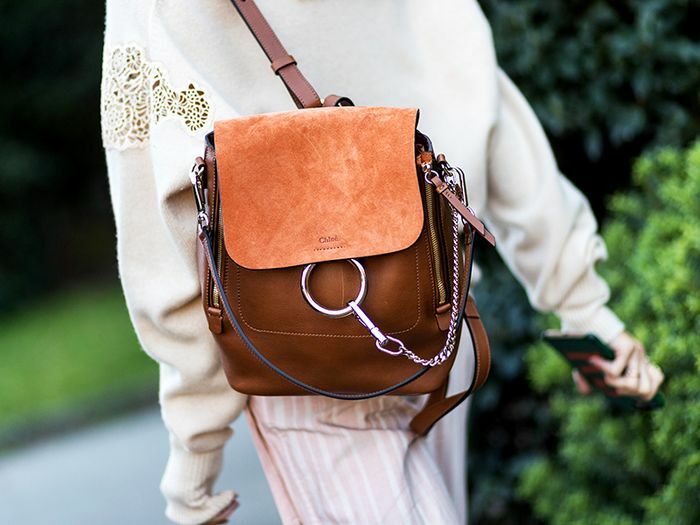 Whether they're real leather or vegan, the supple carryalls have all the hands-free convenience of a typical rucksack with the grown-up appeal of a handbag (in fact, many have convertible straps so they can be worn over the shoulder too). 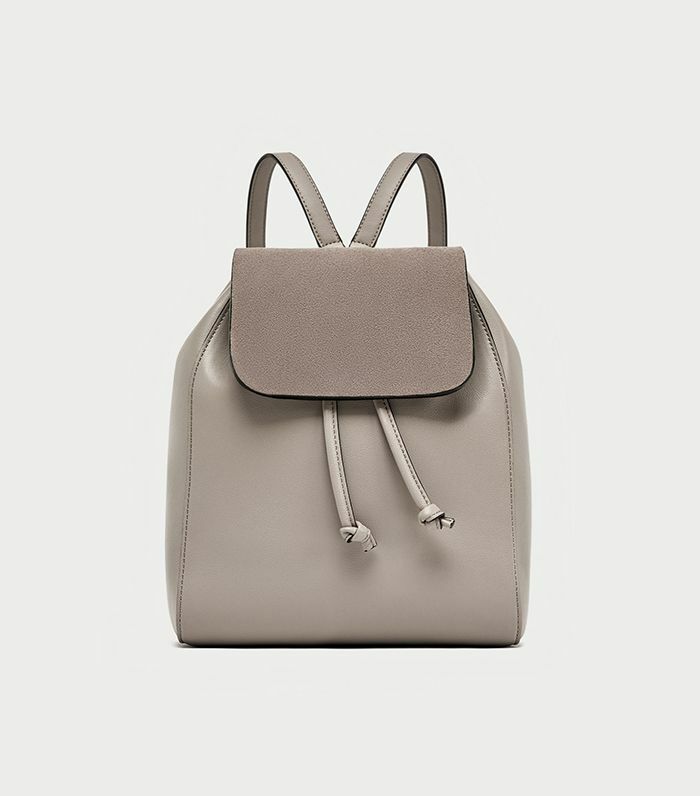 As with handbags, there's also a wide range of price points to choose from, from fast-fashion styles in the $50 to $100 range all the way to designer versions that can run north of $2000 (or even $39,000, as in the case of The Row's memorable alligator backpack from its debut collection). In the middle, there are plenty of covetable options to save up for without blowing your whole rent check, from editor-favorite brands like Mansur Gavriel and Kara. No matter your budget, shop leather backpacks to carry all year round in the gallery below. This putty-colored style only looks expensive. The chain hardware adds a bit of toughness. Simple, chic, and just big enough to hold all your essentials. Plenty of pockets to keep you organized. The straps are detachable and adjustable, so you can choose how to wear it. This bright blue is super striking. What is it about metal rings that makes accessories so much cooler? The cherry red will pop against any outfit. The rubber handle is a cool, modern touch. Between the curved side pockets and the detachable handle, this bag doesn't neglect the details. We're a little obsessed with these chain straps. Understated elegance is The Row's bread and butter. Between the crystal-encrusted bee, the quilting, and the bamboo handle, there's a lot going on here—but, of course, Gucci makes it work. A vegan leather option that's cool and cruelty-free. Every It girl has one of these bags. For those who actually have to schlep some stuff around, this bag can carry a ton. Up next: the one color you need to add to your wardrobe this fall.